Last week, Angie emailed me and asked if her digital marketing should lead or follow her offline marketing for here consulting business? Angie owns a business consulting practice in Ft. Lauderdale, FL and she has struggled with this question for nearly a year. Her business has been steadily growing but she has big hopes and dreams and believes it’s time to expand her marketing reach. She is at the tipping point. Her revenues are high enough to justify an increase in her marketing budget and she wants to be sure she is making a good decision. However, she is uncertain of the risk and she’s not sure what to do or how to do it. In today’s post, I’m going to give her an honest answer and perspective and I hope you’ll add to it as well at the end of the article in the comments section. How do you determine where you should focus your marketing efforts? 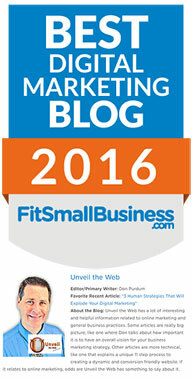 Should you focus your marketing efforts offline or online? There is no easy answer and both have some risk if you overly focus on one or the other depending on a number of factors including the age and maturity of your business, your budget, as well as the skill and talent of your team. If your marketing has focused on offline marketing you might consider easing your way into digital marketing. There are two thoughts I have here depending on where you are at in your business. Are your sales good but you want them to be better so you need to compliment what you are doing? Sales are not as good as they need to be because your marketing funnel isn’t filling up your sales funnel? If what you are doing is working, why stop? You’ve put several years into it and it is working. Maybe digital marketing is a compliment to what you’re already doing and you can ease into it over time without creating an unnecessary risk. If you jump too quickly into digital marketing and back off of what has been working you could put your marketing efforts and sales at risk. It takes time and a lot of hard work to build your online reputation. Is there a lot of offline competition? Is the local need for your consulting services lacking but there is demand elsewhere? Are you marketing in the wrong medias? If the last bullet is the root cause, it may be time to look at digital marketing and dive deeper into it. As a norm, there is a difference in mindset between offline and online marketing. 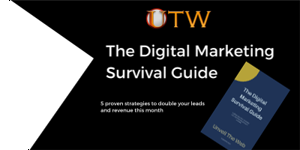 If you choose to lead with digital marketing in your consulting business, how you approach it will make or break your digital marketing efforts. I know for me, offline marketing is more of a hunting mindset. What I mean is that you don’t know who is interested or looking for my service. I’m out meeting people, sharing and building relationships. I’m hunting for that person who is able, willing and ready to buy from me. I’m actively seeking new relationships and opportunities, I’m hunting for them. Digital marketing in contrast to offline marketing is about attraction. Does your website copy and content attract people who are actively seeking solutions to their problems, needs, wants or desires? The next question is how are you positioning your content? There are a number of options but in the end you want them on your website or blog articles. Inbound marketing has a goal of providing a solution to one person’s problem, needs, wants or desires and relevantly and persuasively helping the reader. Because there is rarely an existing relationship between your business and the person consuming your content, you have to find a way to persuade them to regularly engage your content and earn their trust and loyalty. 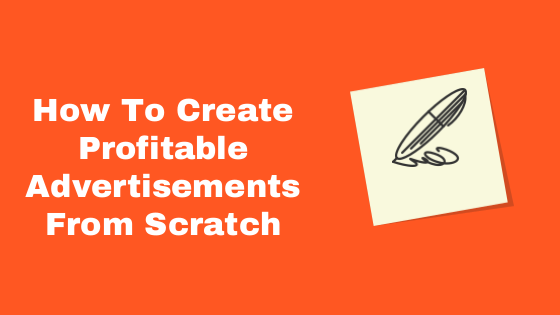 Once you have that, they will initiate the sales process… with some help from you of course by providing them the means to do so (i.e., call-to-action phrases in your emails, articles, landing pages, videos, etc). In this regard, it’s similar to a closing a sale. I like to refer to it as a marketing close. In the “marketing close” you will tell them what you want them to do and then give them the mechanism or opportunity to do it. Hopefully, you can see the difference mindset between offline and digital marketing. One is hunting, the other is attracting. Where Should You Focus Your Marketing? As you can see, both online and offline marketing are a lot of work. Offline marketing takes requires you to hunt for your customers by being away from the office, networking, or spending money creating advertisements. Digital Marketing requires you to gain a deep understanding of those you are trying to attract who are able, willing and ready to buy from you either now or in the future. Where you should focus most is dependent upon where you are at in your business. If your business has been successful in offline marketing but you feel you’re missing and entire audience online, I would recommend you ease your way into it. 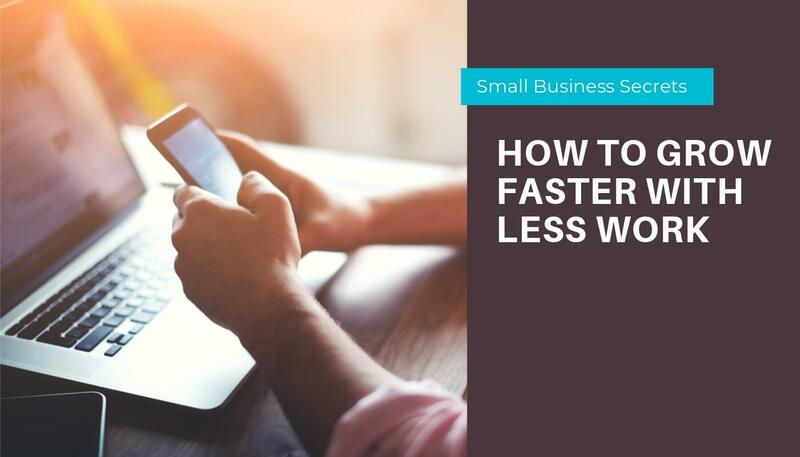 If you feel that you have maxed out your offline marketing or that it just doesn’t work for one reason or another, then making the transition quicker is likely worth the effort. Where Should You Start if You Want to Seriously Pursue Digital Marketing for Your Offline Business? The challenge is that digital marketing is very broad in its scope and opportunity. I recommend heavily that you focus initially on creating a clear, concise and relevant message for your target marketing. Your message is the foundation and guide of your business. It tightly defines those who are specifically able, willing and ready to buy from you and is persuasive. If it’s relevant, compelling, interesting and meaningful you will begin building competency and trust with those who are attracted to your content and are able, willing and ready to buy from you. But be warned, it doesn’t happen overnight. Create unique, relevant and inspiring content by solving one problem, meeting one need or fulfilling one desire per piece of content with one consistent message. Ensure your website is optimized for Google and that they know your content is available. Ensure you’re on the social media platforms the majority of your target market is on and start connecting with people. Begin interacting online with others who blog and serve the same audience you do but in a different way through comments and social media interaction and shares. Start building your email list. Contrary to all you may read about digital marketing, it’s not all about content, SEO, and social media. Don’t get me wrong, those things are vital! But, they are also incomplete. While it may start with content, it doesn’t end with content. Ultimately, it’s about relationships that are driven by content. This is where the offline world and online world are similar. You cannot just start creating content and six months or a year later expect to light your business on fire if you don’t take the time to build the relationships as a business consultant. In the offline world, it can take weeks, months or even years to close a sale. It’s the same online, but it can be harder. Because in the online world credibility and validation through time is everything! Business Consultants are in the people business first and foremost. If you choose to make digital marketing a priority in your business, you must expect that it will require your daily attention over time by creating great content and/or interacting with people online (either on your blog through comments, other blog’s comments, or on social media). 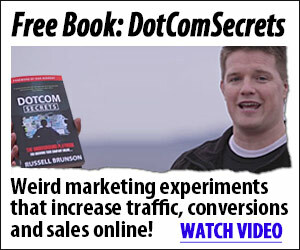 For over eighteen months, these strategies are propelling UnveilTheWeb.com. I have met thousands of people online and my business has grown almost exclusively through the digital marketing medium. Personally, I’m starting to get offline more and more and balance the two worlds. I’ve realized that in my business it takes both worlds to be successful. It’s not one over the other. 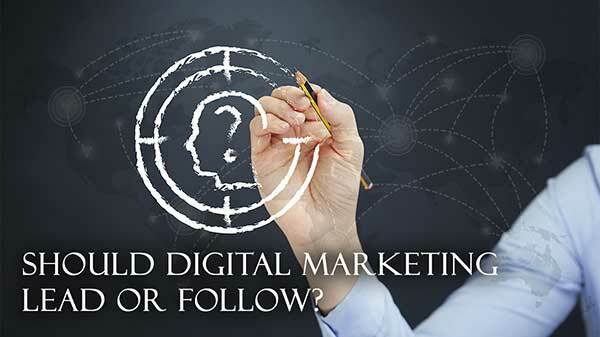 However, digital marketing will always be my main emphasis. As an example, in this article titled “How To Build an Amazing Business Through Networking That Really Works!” I introduced my audience to how I bring offline networking online and provide value at the same time. Mark Schaefer – Mark is a Digital Marketing Expert, Rutgers professor, and in-demand international speaker who’s insights are researched and insightful. Karl Diffenderfer – Karl is a business and personal coach who’s wealth of experience as an entrepreneur. Terri Levine – Terri is an extremely experienced and influential entrepreneur who has mastered her offline business with a tremendous online influence. Kristi Hines – Kristi is a well established and insightful digital marketing expert who has built a reputation second to none. John Corcoran – From the White House to the entrepreneur world, John has built an incredible business bringing insight and help to entrepreneurs all across America. Lisa Irby – An online entrepreneur, Lisa has built an audience of hundreds of thousands who have read her blog and bought her products and services. Ryan Biddulph – Know as the “Blogger from Paradise”, Ryan has a phenomenal blog and has been featured on websites like Fox News, Virgin, Entrepreneur, and more… and he never pitched them. Donna Merrill – Donna is a blogger I met several years ago and is one of my favorite bloggers. She has a tremendous insight into both the online and offline world as an entrepreneur in both worlds. Ana Hoffman – Ana is one of the most researched, knowledgeable bloggers I’ve met. She puts out so much amazing content and she is a valuable sharer of resources and other’s content when it comes to the digital marketing world. I have met thousands of entrepreneurs through their blogs. The ones that create value for me (by either solving a problem, meeting a need or fulfilling a desire; or serve the same audience I do but in a different way and love to network) are the ones I’ve been blessed to have amazing relationships with (see some in the list above). If you’re like Angie and want to learn if digital marketing makes sense for your expanding business and how to establish the right priorities in order to minimize the risk, contact me today and let’s talk. It won’t cost you a penny. Also, if you have a question of your own you would like me to answer, please share it in the comments or contact me by filling out the form on the Contact page. Side note – starting in January 2017, I will be interviewing some amazing entrepreneurs who are at the top of their games. Some are on this list, and many I’ve yet to approach but will be soon. In addition, our staff is expanding as we add educational courses, web design, SEO, and infographics to our core services (Consulting, Bootcamps, Workshops ). More on that another time. Oh, you’ll start seeing infographics popping up on our site more and more in the coming weeks so be sure to come back and look for them as we take complex ideas and simplify them for you. Previous StoryIs Social Media a True Reflection of Reality?